Are You Storing Your Tires Properly? People living in snowy regions typically purchase more than just one set of tires. For example, they may have winter tires and all-season tires. Once cold weather hits, they will need to remove their all-season tires and store them away, replacing them with winter tires instead. When the weather warms up, the winter tires can come off and head into storage, replaced by the all-season tires. 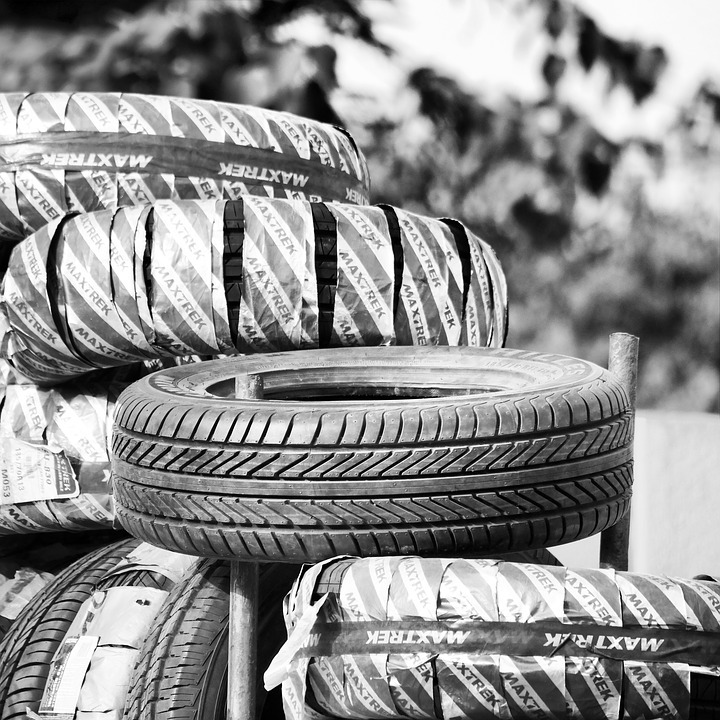 Did you know that the way you store tires can determine their lifespan? Try following these tips to make your stored tires last longer, saving you money. Think dry and cool – The first thing you will want to decide is where you will store your tires. The standard garage or shed may be too hot. If the area is humid, moisture can compromise tires, too. Opt for the basement or some other climate-controlled space. Store your tires away from sources of heat such as electric motors, furnaces, and sump pumps. Clean before storing – Don’t just remove the muddy winter tires and toss them into storage. After you take off your tires, thoroughly clean them with soap and water, using a tire brush. Let the tires air dry after cleaning. Do not apply any tire dressing or gloss before storing the tires. Store in airtight bags – After cleaning and drying, put each tire in its own airtight plastic bag before storing. Lawn bags work well here. Remove as much air and moisture as possible. Close the tire bag tightly with tape to avoid any evaporation. Store in an upright position – Store the tires upright, not laying down, as it puts less stress on the tire. If the tires are stacked on top of each other, make sure not to stack them very high. If your stack is toppled, the tires could get damaged. Avoid sunlight – Store tires out of the reach of direct sunlight. Otherwise, the heat and ultraviolet rays of the sun will cause the tires to deteriorate. Limit rest periods – While you may need to store tires for a couple of seasons, you should get them back on the car as soon as possible. Long-term inactivity is harmful to the tires’ integrity and quality. Tires will naturally age, but you can slow down the process by storing them the right way. Tire Store Utah > Blog > Are You Storing Your Tires Properly?